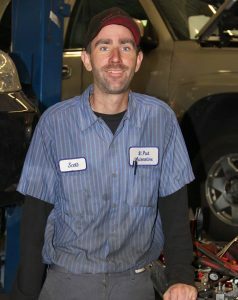 Scott McClure, the Owner at St. Paul Automotive, has worked here since the young age of 14. He started sweeping floors and just kept going from there. 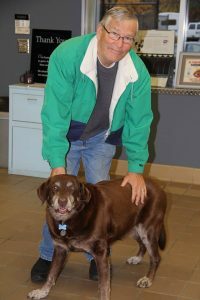 He bought Olson’s Service in 1998 at the age of 30 and renamed it St. Paul Automotive. In 2004 he started the process of building the shop that we are in today. He is married to Deb McClure and has 2 children Michael and Danielle. He does not get too many chances to relax, but when he does, he enjoys boating on the St. Croix, watching the Vikings and the Minnesota Wild. Scott Donovan joined the St. Paul Automotive team in April of 2015. 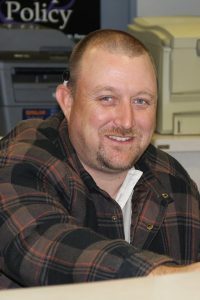 He has been a great addition to our Technician team and has become Scott McClure’s right hand man. When not at work, Scott loves going to the cabin with his girlfriend and family. 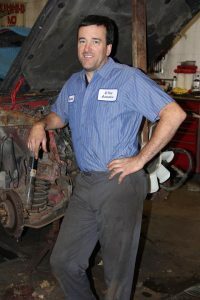 Scott Jacobs joined St Paul Automotive in August of 2011. He is the main Service Writer and most likely the first person you will talk to when calling or entering the building. He lives in Zimmerman with his wife Adrienne and son Colton. On weekends and as much as possible, Scott (Jr. as we call him) loves being in Ely fishing and hunting. Norm McClure (Dad) and Rocky come here every morning to take care of any banking needs. Well….Norm does anyway. Rocky comes for the treats both here and at the bank. Rocky will usually greet anyone here with a nudge hoping for some love. You can almost set your watch by their morning visits! 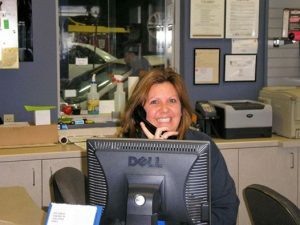 Wendy Neubauer joined us in November of 2011. 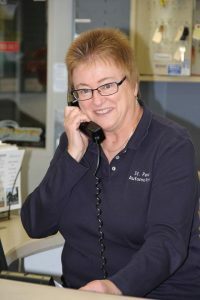 She is part time and splits her time between helping Scott J. as a Service Writer and then the other half doing everything else from Payroll, Accounts Payable, Account Receivable, Marketing and whatever else she can get her hands on. People give her a hard time about having Banker’s hours but she knows they are just jealous. She is married to Kevin, has 4 children (Megan, Madison, Hunter and Maycie), a Son-In-Law Tony Meyers and 2 grandchildren Ellie and Liam ( I know, she doesn’t look anywhere close to old enough for all of that). 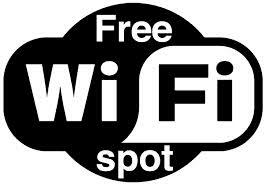 When she is not here, she is usually running one of her clan somewhere or on vacation.